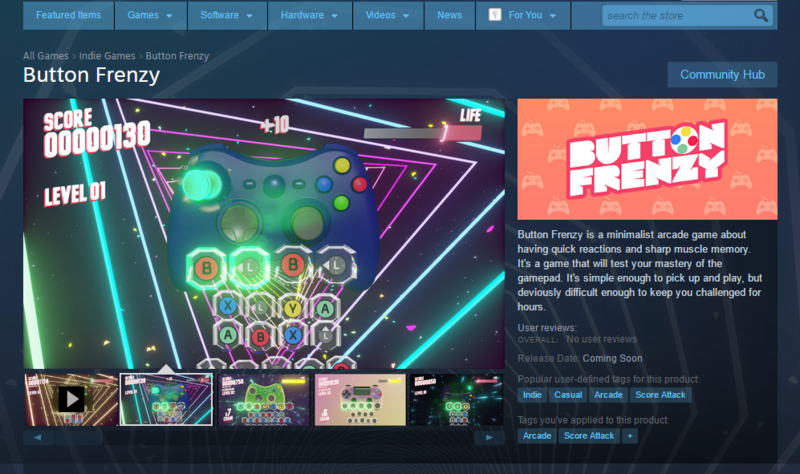 Just a quick post to say that Button Frenzy now has a Steam store page. Getting close to release now! Just a few more (mostly admin related) things to clear up before I can put it on sale.